Happy New Year! We thank you—our patients, colleagues and friends. You keep us going. Your referrals and supplement purchases allow us to provide you with high quality healthcare. As we move forward through life, we need to be grateful for what we have and respect our beautiful amazing bodies! Our body can heal if we allow it. Start the New Year with exercise and a detox program. Join Dr. Julia Malkowski as she heads up another 15-day detox support program. We are offering a 15-day Jump Start Detox Program consisting of a detox shake twice a day or our 15-Day Comprehensive Detox Program. 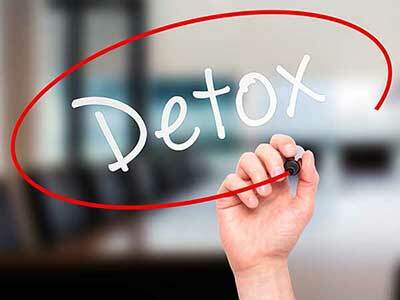 The comprehensive detox program consists of a series of treatments, which includes constitutional hydrotherapy, peat baths, colonics, lymphatic massage, infrared sauna, mild hyperbaric oxygen therapy along with diet, gentle exercise and the detox shake. It will commence on January 7, 2017. Those new to the 15-day program can come to our LaGrange Park office for an introductory talk on Saturday, January 7, at 1:00 P.M. Patients who have gone through these programs have had amazing results and usually return yearly. The Jump Start Detox Program will involve some diet modifications and a meal replacement two times a day for 15 days. We will be using Thorne Research products due to their purity and pleasing taste. Dr. Malkowski will provide support through a Facebook group and will also be available in the office for questions or concerns. The 15-Day Comprehensive Detox Program consists of the Jump Start Detox Program with added modalities. This allows detox to occur at a much deeper level. This program works to detox all organs that invoke detoxification itself. It targets the kidneys, liver, skin, muscles, lungs and colon. It is a 15-day program where everyone who has completed the detox has seen great improvement to their health. The program is supervised by experienced doctors and supported by nutrition, supplements and proper hydration—all based on recommendations after a complete 90-minute medical intake and physical exam prior to beginning the program (if you are new to the office). We have seen reduced blood pressure, allergies diminish, weight loss, return of clarity in thought, increased energy, acne disappear, digestion improved, constipation resolved and much more. The program is so effective that we have patients who return annually. Many are looking to maintain their health and prevent aging. This investment in your health will result in a better quality of life. Again, wishing you all great health for 2017.